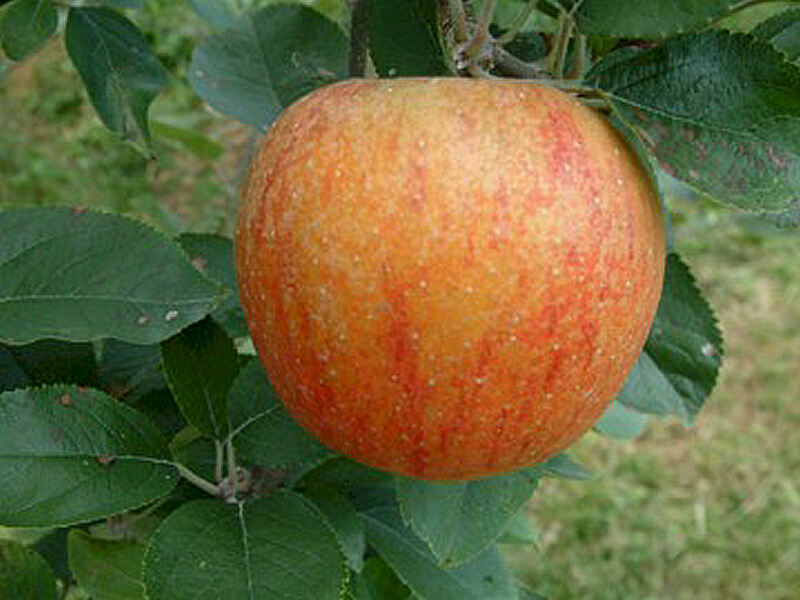 An apple of English origin formerly known as Golden Winter Pearmain but introduced into Brompton, England around 1800 as King of the Pippins. A wonderful apple, small in size but full of flavor. It is said to have an almond-like or nutty taste. 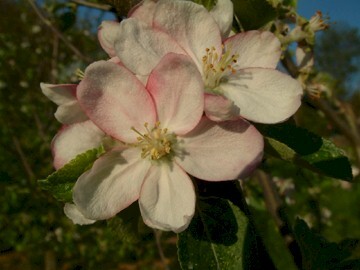 It is also noted for its fine cider qualities. Fruit is small (around 2″ in diameter), oblong-conical in shape and sometimes lopsided. The skin is golden yellow with a reddish-orange blush and prominent red striping. The creamy white flesh is fine-grained and juicy with a pleasant vinous flavor. Ripens late fall.